Street Fighter V Beta Rocky Start? Ever since we at NCG played Street Fighter V at EVO 2015, we fell in love with the game and couldn’t wait for the Beta to open. The Beta was opened July 23, 2015 last night, but as for any huge title making you have to log in a server to play, it of course had a rocky start. Some players said they played with no problem logging in the servers, while others were stuck at the title screen. Soon after the issues were noticed a statement from Capcom was later released stating they were having server issues and will extend the Beta for the time lost. Leave a comment below and let us know if you were able to log in, or how long did you try till you gave up. If you weren’t excited to hear that a new Street Fighter would be released, now you should be. 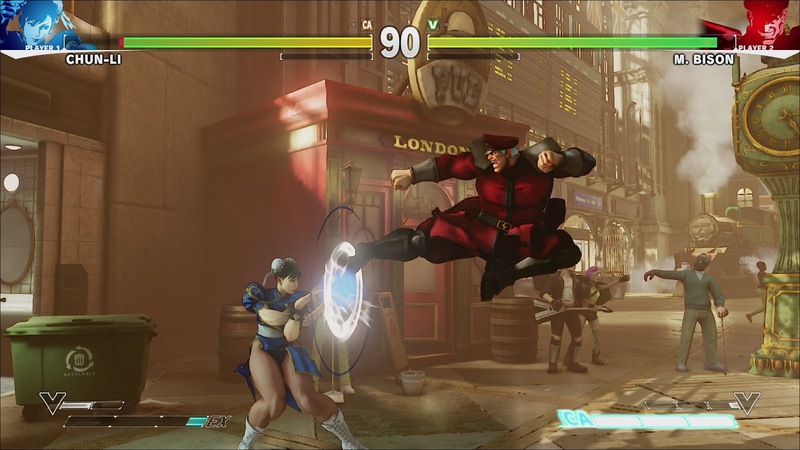 In the Capcom panel at Evo 2015 developers gave fans a peak at what the new Street Fighter V has in store for players. Many players will be happy to know that Capcom plans to eliminate all those extra bundles of new content. Capcom has promised that Street Fighter V will be the only disc players will ever purchase. Say goodbye to Super Ultra Arcade Remix Hyper Edition EX+Alpha. Extra content and characters will be frequently updated, and no, you won’t find yourself saving pennies to pay for extra DLC. All characters and content added to the game can be earned by simply playing the game. Players earn “fight money” which can be used to unlock new content. Of course, you can also buy “fight money” to have instant access to content, however, it will not be required. We raised an eyebrow at the proposition, however, developers explained that “fight money” is meant to keep players engaged with the game: the more you play, the more you’ll earn. Players can also expect to see new gameplay. Street Fighter developers focused on character development so this meant that when characters felt lacking, they were given new tools to utilize, and if they were amusing, well, now they’re more amusing. Emphasizing personalities has altered how each character plays. Each character now has their own battle system and special moves which can be used with the V Stick or V Trigger. There is also a new Variable system which is meant to help maintain character balance and allow players to choose how they want to play whether it be offensive or defensive. So who can you play? 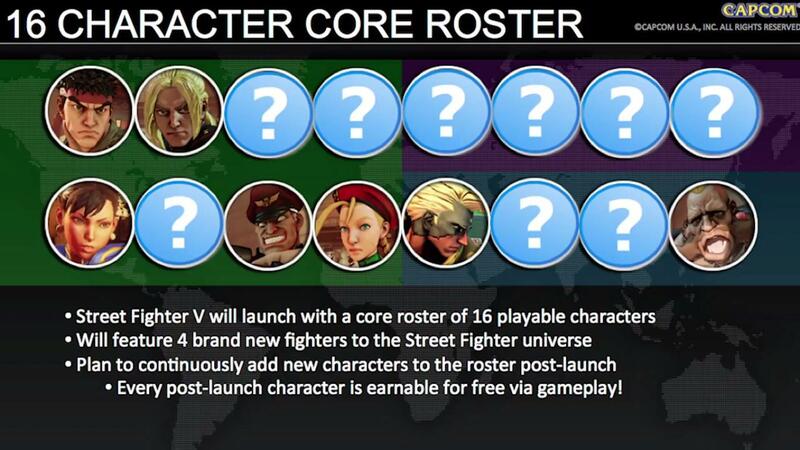 A total of 16 characters are currently on the Street Fighter V roster: ten returning characters and six new ones. 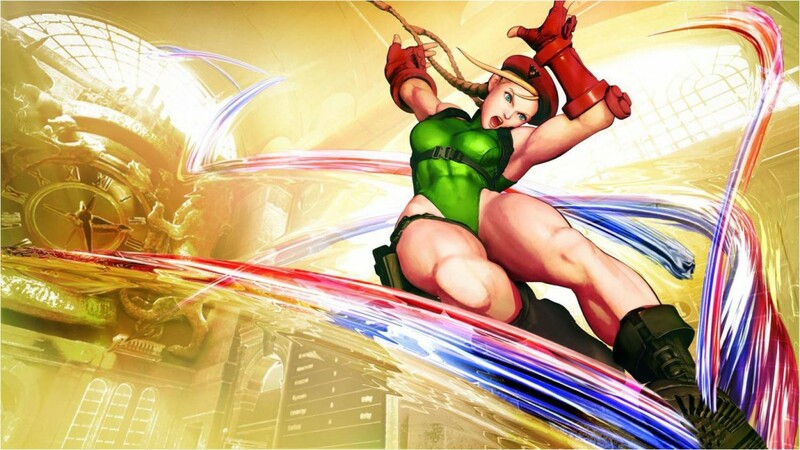 Confirmed returning characters will be: Ryu, Ken, Chun-Li, Birdie, Cammy, M.Bison, and Nash. The only confirmed new character for Street Fighter V is Necalli, who was announced on day three at Evo 2015. Ryu– Well-balanced character designed to be easy to use for new comers. Birdie– Great for beginners. He’s no longer a grab character and can now hit almost anywhere. Nash-Difficult to use and redesigned to be offensive. He has an abundance of target combos. Ken– For anyone to use and now plays different from Ryu. You can use the V-Skill and V-Trigger to rush even when blocking. If you’re a rush player, he might be a top choice. Since the game is still in development, Capcom plans to release Beta’s in three phases in order to gather feedback from the community. All North American pre-orders for Street Fighter V will have guaranteed access to the Beta. Players in Europe and Asia can sign up to test the Beta at streetfighter.com. 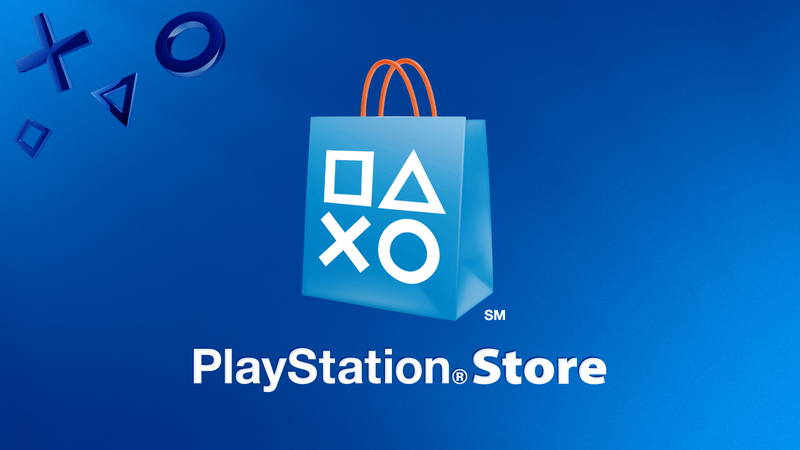 The first phase will be on the PS4 from July 23-28. Phase 2 will be on the PS4 and PC but the date has yet to be determined. Phase 3 is also to be determined. 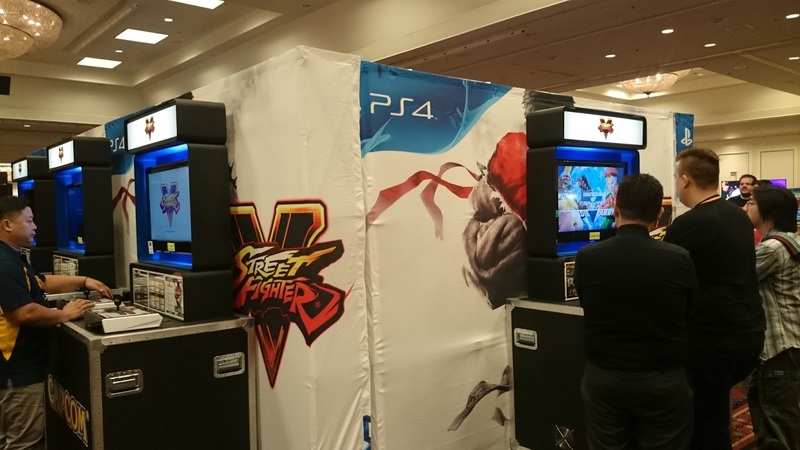 During Evo 2015, New Challenger Gaming had a chance to test out Street Fighter V. We noticed that the game runs faster than any other Street Fighter game, has a high frame rate with smooth animation, characters are more detailed, and when you mess up you are certainly punished for it. 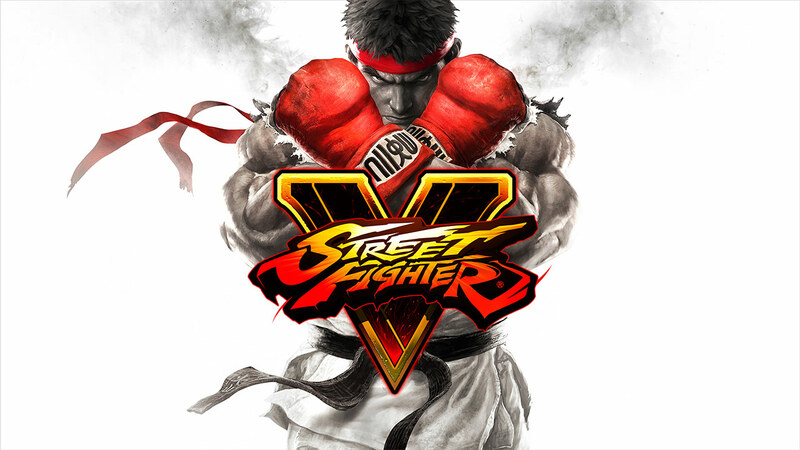 Street Fighter V will be released in 2016. Be sure to get your pre-order to check out the Beta and let us know what you think! Also we have the reveal trailer below for Nacalli, be sure to click and watch how this character is up close in personal.